11 out of 10 Americans dread talking about their passing, that’s just a fact. But the longer you avoid the topic of your leave-behind legacy, the harder and more expensive the insurance your loved ones deserve becomes. And nobody wants expensive life insurance. Our independent insurance agents help zero in on your life, and afterlife, goals to guide you toward the right type of insurance for you. They'll shop and compare policies from multiple companies to find the right coverage at the right price. But before we high-five, let’s talk a bit about your life insurance options, what it’s going to cost you, and how the insurance company comes up with those costs. So away we go. 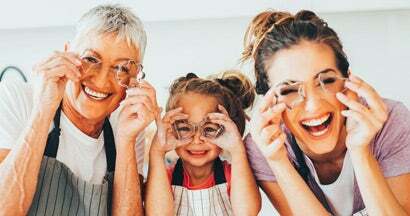 The why: The right insurance coverage is a great way to protect your loved ones after their loss, provide for their futures, and also handle any unpaid debts you may have left behind. 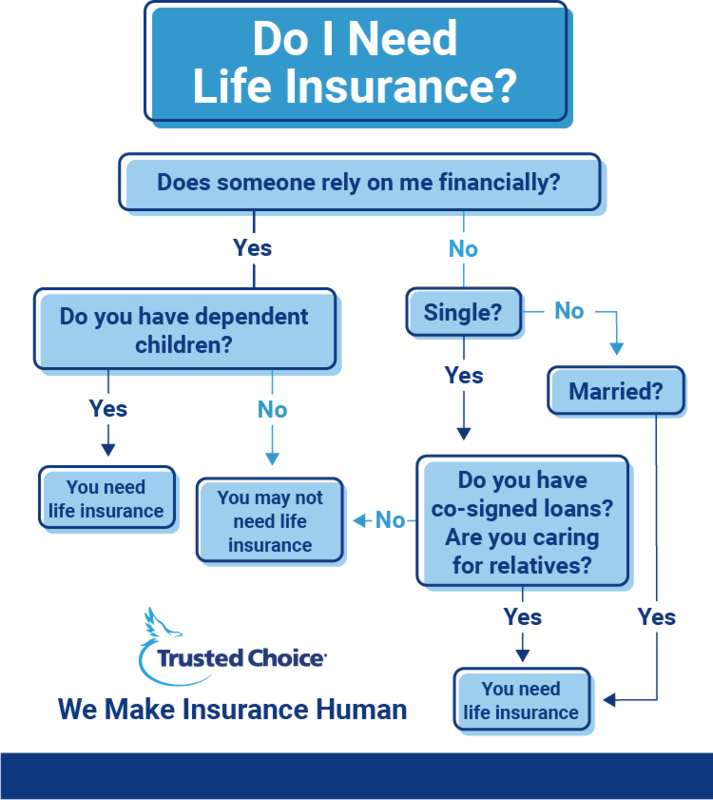 What Kind of Life Insurance Coverage Do I Need? Life insurance comes in one of three options, with a number of sub-options out there as well. But the decision can be tough with so many delicious flavors, so you'll definitely want to do your research and talk with an agent about which one works best for you. Term life insurance: This one comes with an expiration date. When you choose this type of policy, you select a term length, like 10, 20 or 30 years. If you should “move on” during this time period, your chosen beneficiary would get your death benefit. If you don’t “reach your end,” your beneficiary will not get the death benefit and you may wish to extend or convert your policy at that time. Whole life insurance: Basically, this policy goes on (and on) theoretically forever, but realistically, until you cash in your chips. You contribute to what’s a lot like a savings account until you reach your policy's coverage amount, at which point you can take the money out if you want. Otherwise, it'll sit there until your “grand exit” and be given to your beneficiary. Universal life insurance: This is pretty similar to whole life, with a couple of differences. With universal, you accrue interest along with your savings and can even pay more than your payment to help rack up even more of that sweet interest. You can also skip a payment or two once you've built up the account without being scolded by the insurance company. The insurance company starts by evaluating a series of risk factors (like age, gender, location, etc.) that have certain costs associated with them. The costs of these risk factors is typically determined through studies of historical trends, analytical models, and a whole bunch of other super- sciencey/mathy stuff. Next, they’ll check off the attributes that apply to you, tally ‘em all up, add some profit margin and—ka-chow—you’ve got your life insurance premium. However, due to competition from other companies, they might actually lower the price a bit. So, bonus. NOTE: Premium costs are subject to change—the insurance company may gradually increase your premium over time to keep up with the financial demands of offering the coverage. In short, the cost of your life insurance policy will be determined by the perceived risk of you dying within each premium year. If you're on the younger/healthier side, it'll be cheaper. If you’re not, sorry, it’s going to cost quite a bit more. Person A: A healthy 25-year-old motivational speaker who never misses spin class and constantly posts contorted yoga poses in front of mossy rivers and streams on social media. She might pay $20/month towards a $100,000 policy, or $30/month towards a $500,000 policy. Person B: A 45-year-old of "average" health who punches in from 9-5 during the week and spends his evenings and weekends watching “all the games" on the couch. He might pay $50/month towards a $100,000 policy, or $150/month towards a $500,000 policy. Comparing policy rates by yourself can be tricky and seriously time-consuming. Your insurance agent will have seen and done it all before, and they know exactly what's important to consider when browsing coverage options. Plus, since they're not tied down to one insurance company, they've got the freedom to shop, compare and assemble all the pieces of the coverage puzzle for you. You’re welcome, we know how you feel about puzzles. Look, we know what you want super-quick-and-easy life insurance quotes in under a minute. Trust us, we get it. But choosing speed over accuracy can really come back to bite you in the end. Plus, online companies might leave out options that'll save you some serious green, while conveniently leaving in factors that present higher risks and leave you with a pricier policy. And nobody wants that.